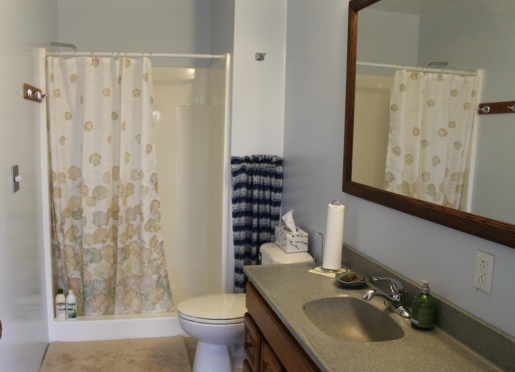 Peace of Earth, an eco-friendly lodging experience, offers you the chance to relax and enjoy nature in a comfortable homey atmosphere in all seasons of the year. 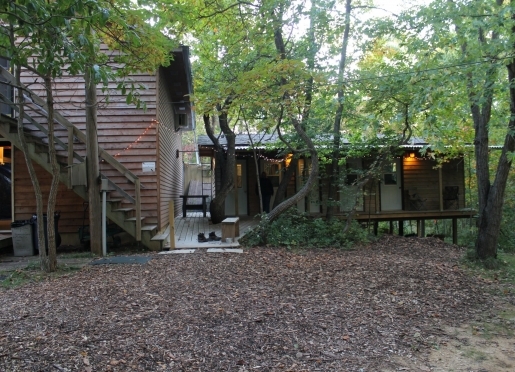 We offer accommodations for every taste and need... guest rooms, cabins, a screened-in Tree House, and primitive remote camping. 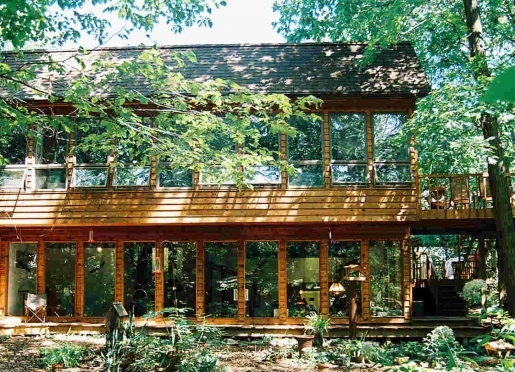 This passive solar home (built by the owners) offers a breathtaking view of the forest from almost every room in the house and the views from the cabins are just as inspiring. Sunrises and sunsets, as well as a nighttime-sky filled with more stars than you’ve ever seen, are regular entertainment at Peace of Earth Lodge. You can wake in the morning to a symphony of birds and/or experience the nightly serenade of the resident frogs, insects and owls. Let Peace of Earth become your destination! 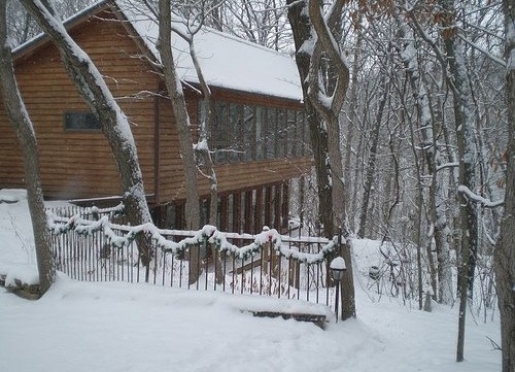 Come and simply enjoy our lodging accommodations and the stress reducing qualities of nature or let us help you plan a Lodging Package that can include several of our popular activities. 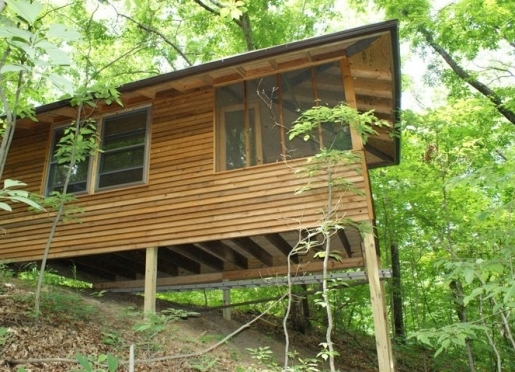 Guest rooms, cabins, and the ever-popular Tree House include queen-sized beds and a sitting/reading area. 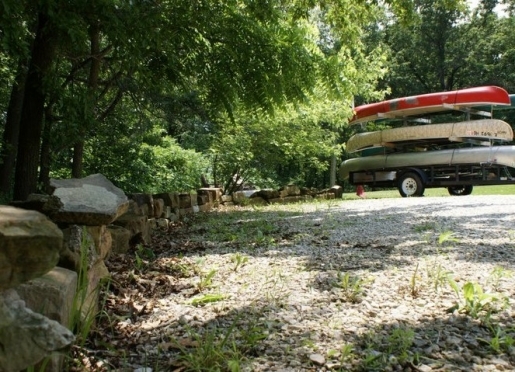 All our lodging accommodations are TV, telephone, and internet free. Our great room in the Lodge includes a common area and our dining room, both of which features amazing wildlife viewing through the south-facing forty-foot-long window wall. 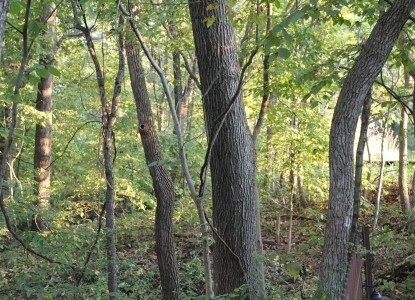 Cedar decks wrap the Lodge and offer tree-top dining or relaxing. 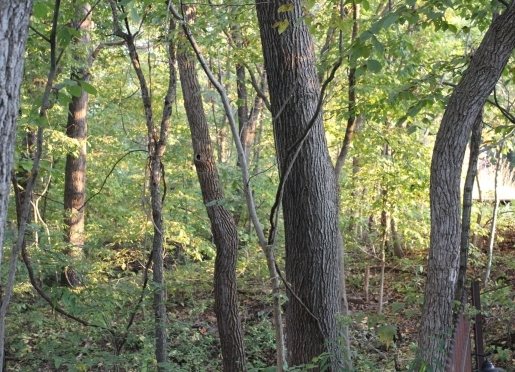 Hiking Trails in the forest, prarie, and along the creek. 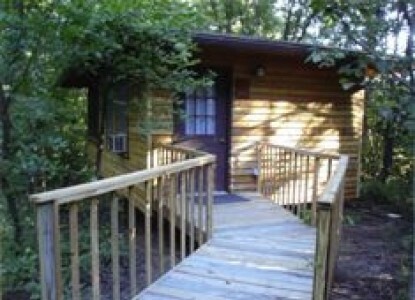 Camping near the lodge, and also remote! Peace of Earth is a beautiful area that provides endless hours of relaxation.Should you wish to venture away from the tree-top decks, there are also many other activities at the lodge and in the area to entertain you. 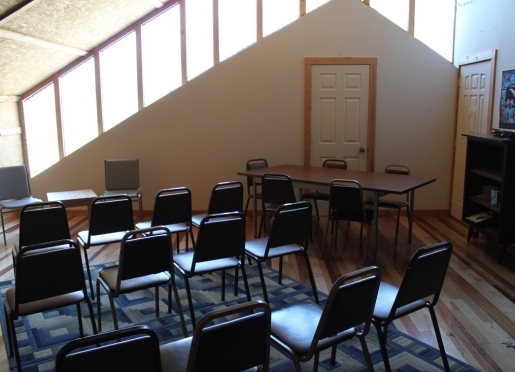 The Nature Center/Meeting Room is a multi-purpose room that our guests can use to enjoy many different things here at Peace of Earth. Half of it is filled with hands-on displays that kids love to get involved in….from our Animal Tracks Sand Table to the Critter Café to the Puppet Corner to the Magnet Center. We have live turtles in an aquarium, a Touch Table of natural artifacts, the Mystery Box, and the Fur Matching Game. When we have school/youth groups visit this is where we start our programs with the children.This Meeting Room can be set up for meetings, receptions & retreat groups with tables and chairs, or a Game Room, with ping pong, fuse ball, darts and even a small putting green.This is also the room we use as our Peace of Earth Coffee House when we host acoustic concerts several times a year, featuring local musicians. 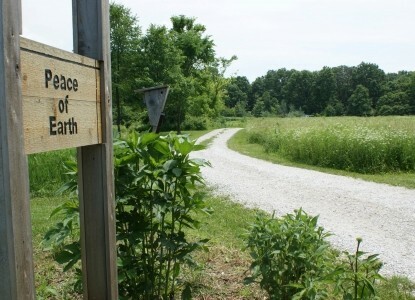 Peace of Earth is a beautiful area that provides endless hours of relaxation. Should you wish to venture away from the tree-top decks, there are also many other activities at the lodge and in the area to entertain you. Shuttle rides to and from local events and attractions can be arranged. 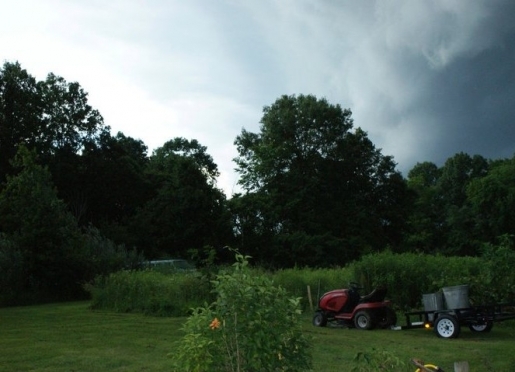 Pat & Tim Sullivan have owned and lived on their Peace of Earth (30 acres in the country) for 30 years. 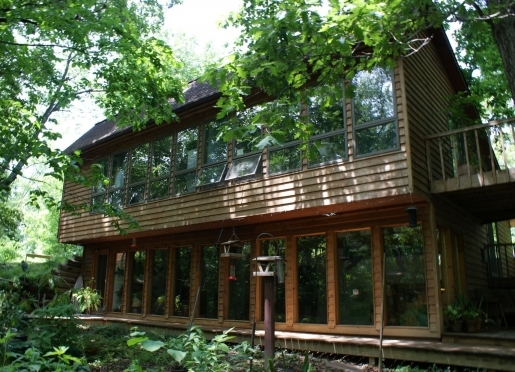 They designed and built their passive solar home, decks and cabins and incorporate many sustainable and energy saving components in their style of living. 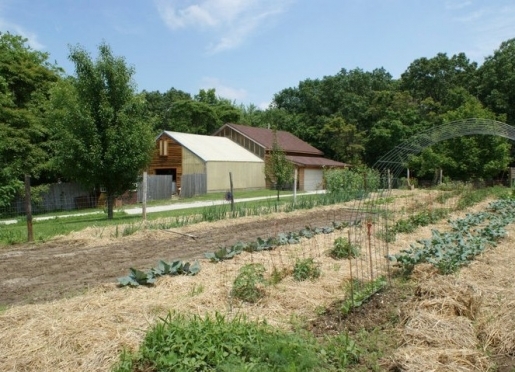 In their spare time they enjoy organic gardening, hiking, canoeing, biking, fishing and just spending time in the outdoors. Recently, Pat was awarded the 2009 Environmental Educator of the Year Award from the Environmental Education Association of Illinois (EEAI). 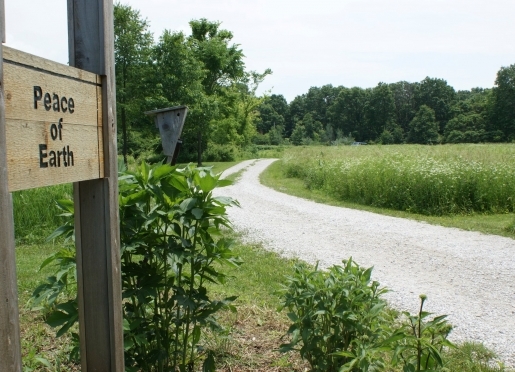 EEAI is a statewide nonprofit organization dedicated to maintaining a vital network that supports and advances quality environmental education throughout the state. It provides professional development and networking opportunities for educators via conferences, workshops, and publications. 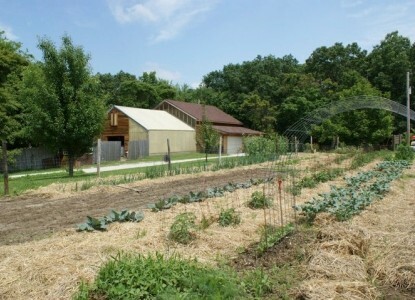 Click here to learn more about Pat's Environmental Learning Center at Peace of Earth.